In 1842 this shop was a chemist and druggist belonging to Mr Robert Bradshaw, who also had a shop at 17 Suffolk Parade. In 1845 the shop featured in George Rowe's guide to Cheltenham. 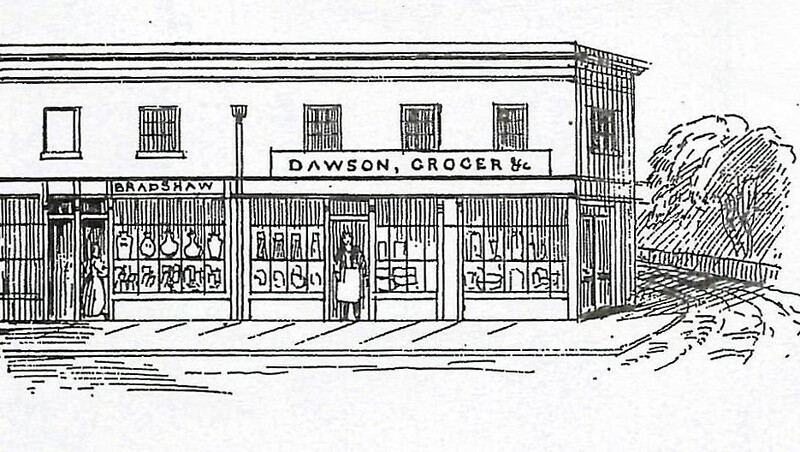 George Rowe wrote "Continuing our walk up the Bath Road, we pass the shop of Mr Dawson, Grocer and Confectioner, who is well known for supplying the table with the necessary requisites for enjoyment of the best quality. Adjoining is the establishment of Mr Bradshaw, Druggist, whose skill and care in compounding has obtained him the general patronage of invalids in his vicinity." From later in the 19th century and for over 70 years this was the home of the Little family. Henry Little, a greengrocer by trade, lived here with his wife Charlotte and their seven children. When they were older the children helped in the shop, with daughter Florence carrying on the business and son Joe growing some of the vegetables on his allotment. In stature Miss Little was quite the opposite of her name! The shop continued until her death, aged 81, in November 1956. 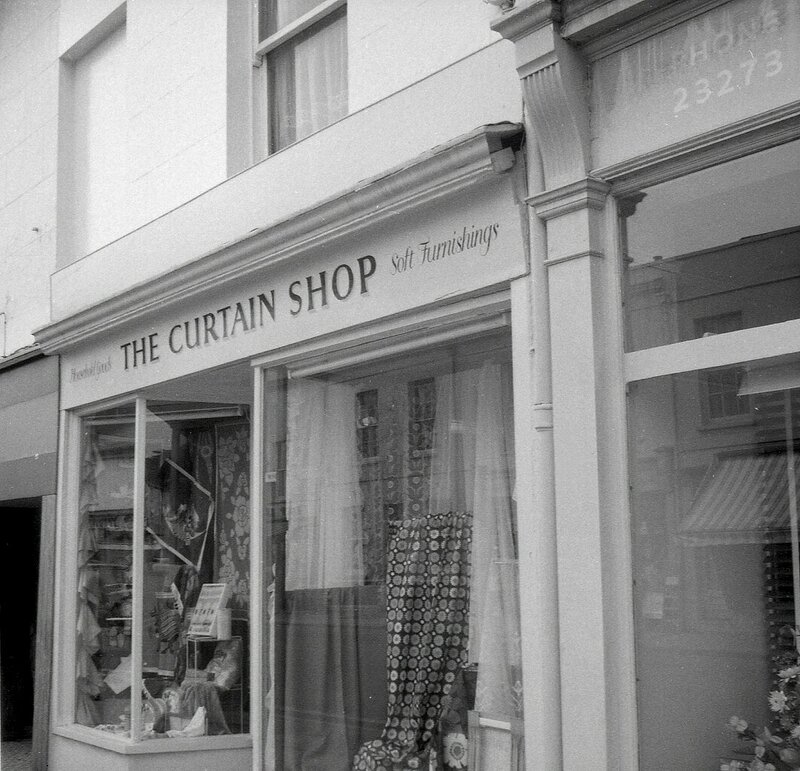 Soon after, the shop was sold to Mr Roberts, trading under the name of the Curtain Shop. Mr Roberts had worked in the soft furnishing department of Drakes in Winchcombe Street before moving to Bath Road. 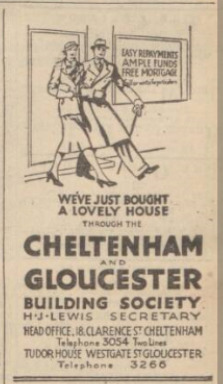 The Cheltenham and Gloucester Building Society then opened a branch here on 1st March 1972, having been established back in 1850. At their eightieth anniversary celebrations in 1930 it was announced that their office staff then totalled thirty six compared to four at the turn of the century! The Society transferred to larger premises across the road in March 1996. 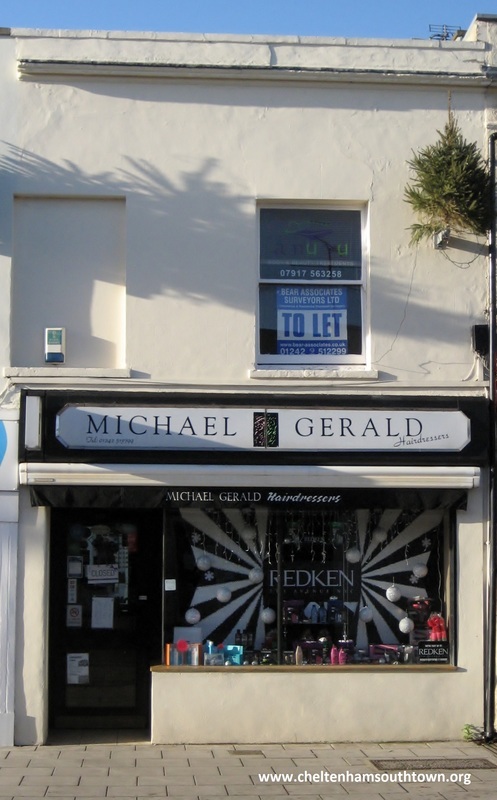 After this, the shop was empty for a while, until it was taken over by the Michael Gerald hairdressing salon, which was formerly in Imperial Square. They continue to be here today.